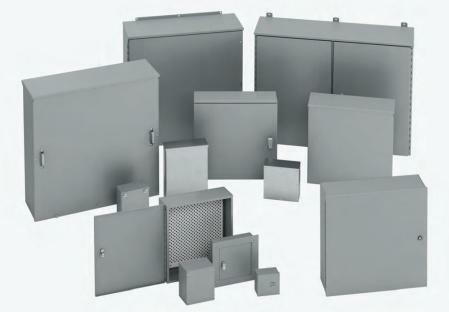 An electrical enclosure is a cabinet for electrical or electronic equipment to mount switches, knobs and displays and to prevent electrical shock to equipment users and protect the contents from the environment. The enclosure is the only part of the equipment which is seen by users; in many cases it is designed not only for its utilitarian requirements, but also to be pleasing to the eye. Regulations may dictate the features and performance of enclosures for electrical equipment in hazardous areas, such as petrochemical plants or coal mines. Electronic packaging may place many demands on an enclosure for heat dissipation, radio frequency interference and electrostatic discharge protection, as well as functional, esthetic and commercial constraints.